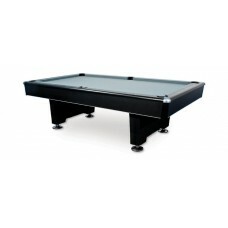 The Black Diamond is a very affordable contemporary black laminate table with metal corner caps and .. 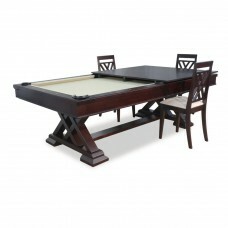 The Brittany is a solid Tropical Conifer wood table with a tapered square leg. A choice of Metal Fle.. 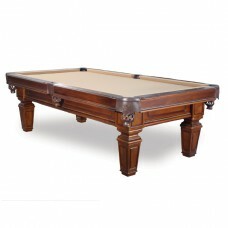 The Carmel Billiard Table by Presidential is an exquisite Oak Table with a rustic salvaged natural f..
King of AfricaThe King of Africa is a top of the line table made of solid Teak and Bubinga. It has m.. 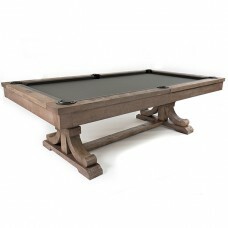 The Addison has simple sweeping lines and is made from solid teak. 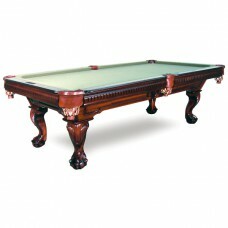 It has wide scalloped top rails a.. 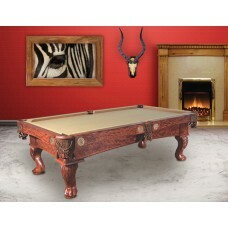 The Archer is a lovely table made of strong Aspen wood and has a dining top and matching dining chai.. 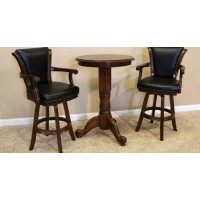 The Ashbury is a uniquely styled solid German Birch table with a dining top option that adds to its .. 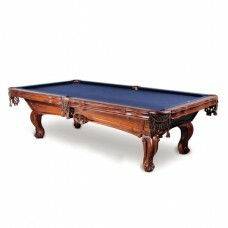 The Biltmore is a stunning hand carved solid Teak table which features wide scalloped top rails and .. 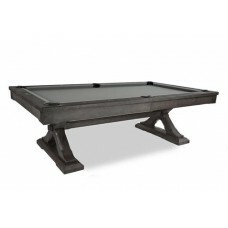 Beautifully crafted solid Eucalyptus table available in dark Mahogany and Chestnut finish. 4 leg opt.. 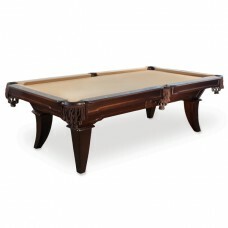 This beautiful African Mahogany table with Tusk shaped legs is available in the Espresso finish in b.. 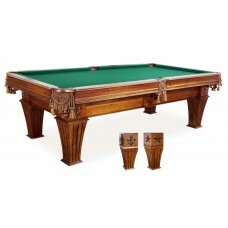 The Charleston uses a combination of African Walnut on the cabinet and blind rails and has Teak legs.. 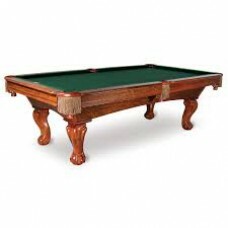 The Hartford is crafted from African Mahogany and is a stylish table which incorporates a functional.. 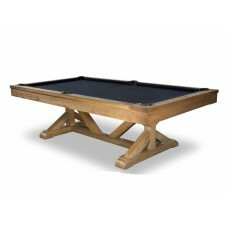 The Kariba is a solid Oak wood table that has a stylish transitional design with an in vogue charcoa.. 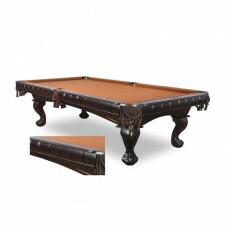 This Beautiful, solid Tropical Conifer wood table comes in a unique dark chocolate finish. 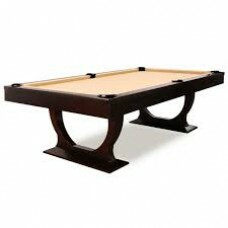 Size..
Instantly go from a billiards game to a ping pong match with this Table Tennis Conversion Top Kit. 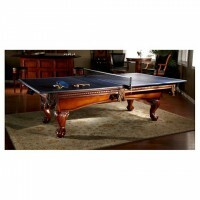 T..
Winslow Pub TableShown in warm chestnut finishFeatures routered pedestal and three ram's head feetAv..